Go say Happy Birthday to =Godliek now! I don't know if you still use this website, but googling my old deviantart name this is the first thing that comes up. Thank you for this! Hope you're well. It's been a while since I used it, but I like to lurk around here from time to time Can't really get away! I also hope you're well, it's so nice to see you! Sending lots of love your way! are going to display this icon. Hi! I'm sorry but I'm not sure what you refer to. 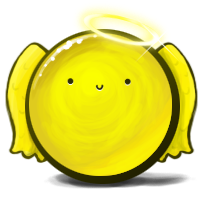 This icon was created by me back in 2009 as a birthday present for a friend using their emote character. Oh don't worry, it's ok!! how do you use it? what do i type?